TV Batman was the first thing I ever learned to draw from memory. I wanted to try something different and special for this one, so I inked with liners instead of brush and drew coloring influence from the amazing Francesco Francavilla and Wes Craig. I’ll have 9×12 prints of this available at Heroes Con next week. 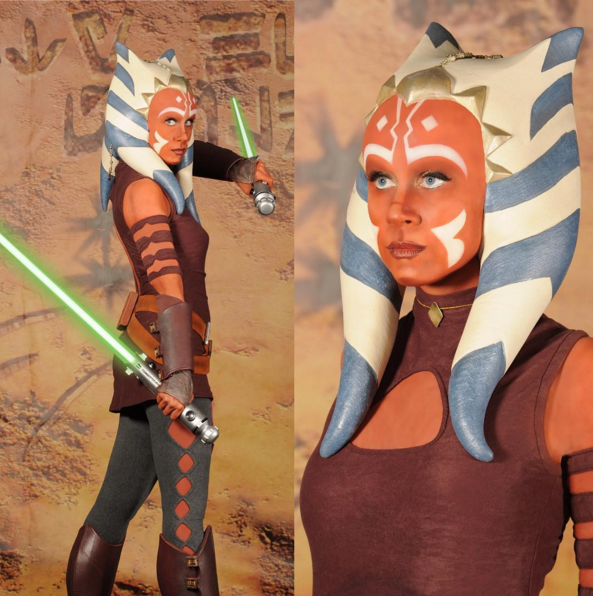 If we don’t get the delightful Ashley Eckestein to do the live-action on top of her voice work (She’s even done cosplay as Ahsoka), I’m super down with Rosario Dawson as my favorite Clone Wars character. I decided to spruce this old print up in honor of Carrie Fisher. As a huge Star Wars fan, and a person who struggles with my mental health, she meant a lot to me. These are $15 and a portion of the proceeds for each sale will go to the International Bipolar Foundation. Get yours here, or catch me at a convention. This guy creeps me the heck out. In brighter news, I REALLY like the new watercolor brush I’m using in Photoshop. This was a prize for a tournament winner at a gaming store that a buddy of mine works. Turned out pretty good, I had fun with this one. Luke Cage is awesome. that is all.